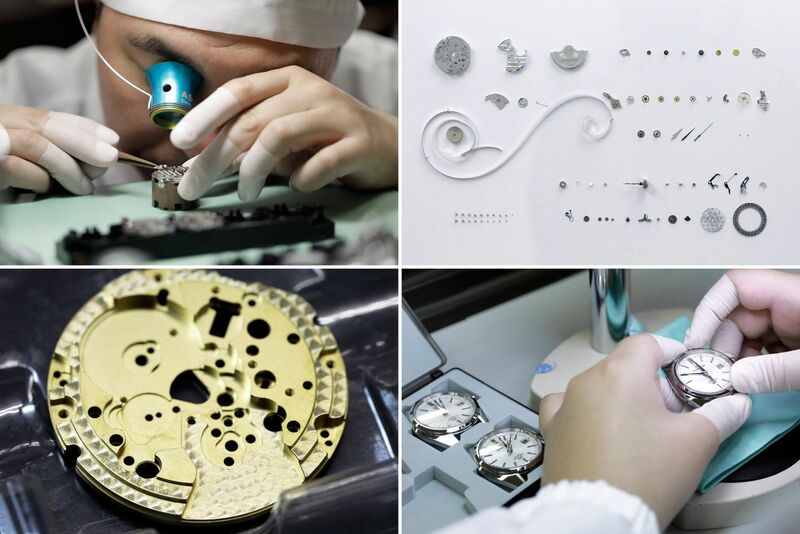 In a factory surrounded by snow-covered peaks, technicians in lab coats use tweezers to assemble tiny metal parts into self-winding watches. Once they’ve been checked through microscopes for precision and packed in satin-lined boxes, the timepieces are shipped off to Rodeo Drive or Knightsbridge boutiques, where they’ll sell for thousands of dollars. But this is Japan, not Switzerland. Forty years after nearly wiping out the Swiss watch industry with cheap quartz models, Japanese brands like Seiko and Citizen are eyeing the high end of timekeeping that’s been the Alpine country’s turf. New boutiques in posh Beverly Hills and London shopping districts show off models like a Grand Seiko with an eight-day power reserve – and a US$58,000 price tag. 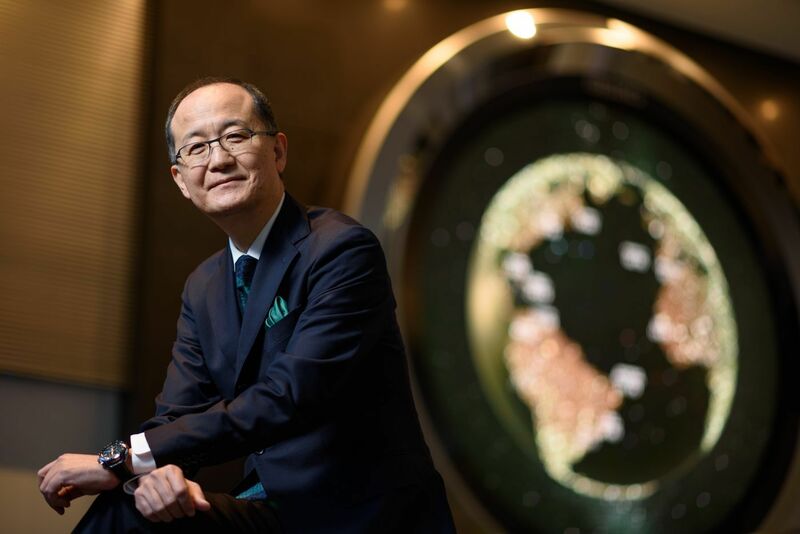 “We won’t see much growth in the lower-end price points, so it’s only natural we start to shift more towards mid- and high-end,” Seiko Watch President Shuji Takahashi said in an interview in Tokyo. The Japanese push upmarket shows how Apple has turned timekeeping upside down. Only three years after entering the market, the tech giant has become the world’s biggest watch seller, overtaking Rolex, forcing the industry to rethink strategy. As Swiss brands add more accessibly priced models, Seiko and Citizen are seeking a bigger piece of the premium action. 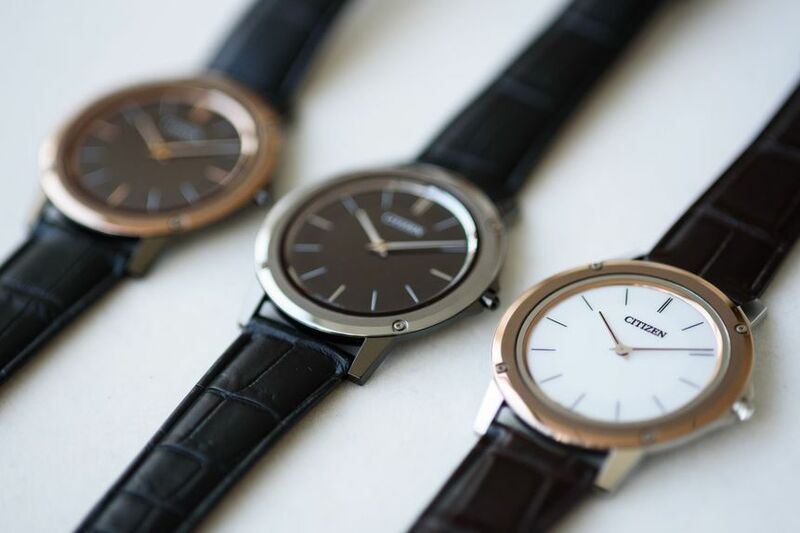 The Japanese success in marketing quartz watches drove many Swiss makers of mechanical timepieces to their knees, turning Seiko into the industry’s giant in the late 1970s. 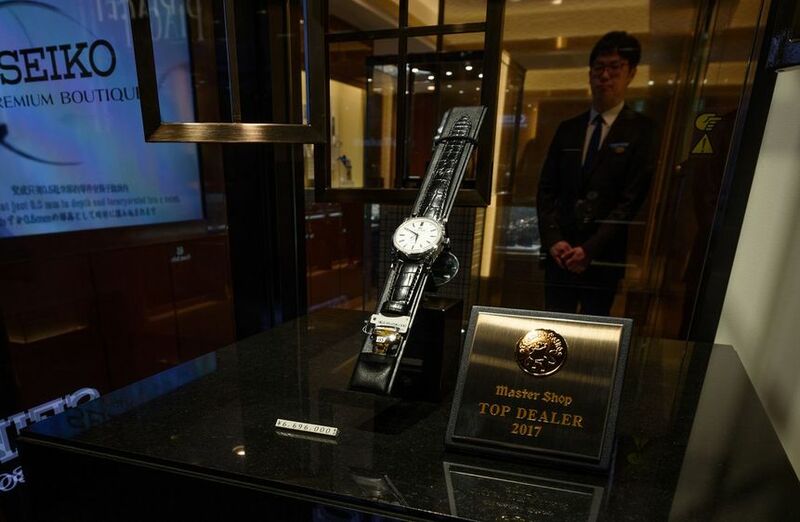 But Japanese manufacturers missed out on the subsequent revival in demand for luxury mechanical watches, which attract buyers with the craftsmanship behind a product that runs without batteries. Grand Seiko watches are known for their accuracy and have simpler dials and a more classic style than regular Seikos. The company makes fewer than 100,000 Grand Seikos a year, roughly equal to IWC’s output but well behind Rolex’s 800,000, according to estimates by Bank Vontobel’s Rene Weber. A Grand Seiko SBGD201 on displayed at the Seiko Premium Boutique in Tokyo. Seiko was founded in 1881 by Kintaro Hattori, a watch repairman who at age 21 began selling and fixing clocks. About a decade later, he built a factory in Tokyo. After recovering from bombings during World War II, the company pushed ahead in watchmaking and in 1969 introduced the battery-powered Seiko Quartz Astron, which started the quartz revolution. Today, the company is boosting production of its luxury products. Grand Seiko is doubling its main price range to US$5,000 to US$15,000. The watchmaker plans two more standalone boutiques for that brand soon, Takahashi said, after opening the world’s first Grand Seiko boutique in November in California. 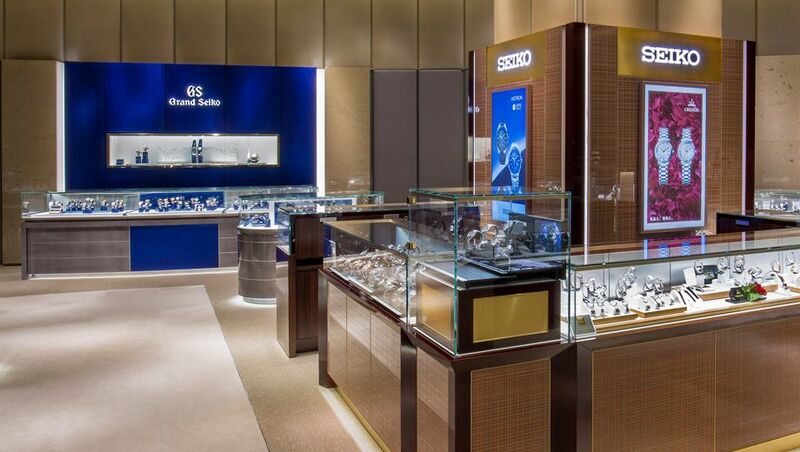 Seiko has some 80 boutiques around the world. At Seiko’s Morioka factory in northern Japan, watch assembly resembles the process seen in Switzerland – except for a certain Japanese quirk: periodic interruptions by soft music and instructions for employees to take an exercise break. After a few stretches and jumps, the team, seated at customized wooden desks, gets back to inserting balance wheels, the pendulum-like devices that tick out the time in mechanical watches. Citizen, too, has been moving upmarket. In 2016, the company gained control of Switzerland’s Frederique Constant, Alpina and DeMonaco – giving it control of brands with entry prices from about $1,000 to more than $10,000. Citizen CEO Toshio Tokura told Bloomberg News in January the company is open to acquisitions to tap more luxury spending. There’s no shortage of struggling or up-for-sale Swiss brands. Breitling, known for aviation-themed timepieces, was sold to CVC Capital Partners last year. Maurice Lacroix failed to find a buyer when it was put up for sale by owner DKSH Holding AG. In 2014, Citizen opened a flagship boutique in Times Square in New York, where it showcases new models such as last year’s Billy Jean King commemorative watch. Seiko, Citizen and Casio increased their share of the global timepiece market for the first time in a decade in 2016, to a combined 10.2 percent, according to Bank Vontobel’s Weber. Grand Seiko watches at Seiko Premium Boutique in Tokyo. The push into higher price segments may not please all watch aficionados, according to Ariel Adams, who founded the popular U.S. website A Blog to Watch. The Swiss industry could benefit in another way. Just as the revival of Germany’s luxury brand A. Lange & Soehne in the 1990s helped push high-end watchmakers like Patek Philippe and Vacheron Constantin to be more creative, Seiko is doing the same for the whole Swiss watch industry, which is dominated by three companies: Swatch, Richemont and Rolex, according to Best of Time co-author Dowling. “The Swiss need the competition,” he said. 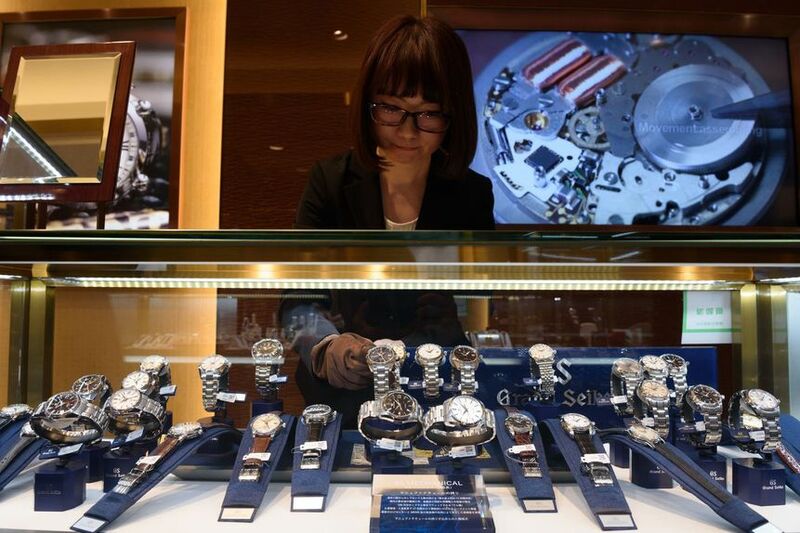 Comment on "Japanese watch companies take on the Swiss in a bid for wealthy wrists"